Do You Want to Purchase Your Life Insurance Instantly Over the Internet Today? In fact, you may find it’s much easy than you thought to buy life insurance direct online. The fact is times have changed and what used to take up to 6-8 weeks to get a life insurance policy has been replaced with new technology that allows insurance companies to offer instant approval life insurance. One of these companies is Haven Life which offers people ages 60 and under the option of buying their life insurance plan direct online without any delays. There’s no health exam for you to take. You just answer some health questions, and if approved, you can start protecting your family with quality, affordable life insurance today. Instant online life insurance policies offer you the chance to begin protecting your family’s future starting today, if you qualify for coverage. 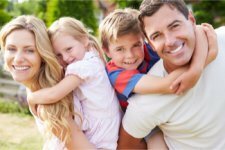 In the past, you would have to contact an insurance agent and request a visit in order to discuss life insurance plans. Then you would need to compare rates and try to decide which one was right for you. Now, you have another option. The technology of the internet combined with the competition among life insurance companies has made it possible to purchase instant term life insurance online starting today, if qualified. In fact, if you are age 60 or younger, you may be able to get up to $1,000,000 of term life insurance with no medical exam required, just some health questions. You can apply online and get approved today, if you qualify for coverage. Here’s how it works: In order to get online instant life insurance you answer some health questions, and the insurance company quickly decides based on your answers, if you qualify for coverage. If you like the quoted premium you can apply for coverage online in minutes. Once you have paid your 1st month’s premium your life insurance policy may begin today. Imagine, protecting your family’s financial security and future starting today. No mailing delays. No need to meet with an agent. No high-pressure sales pitch. Just the life insurance protection your family deserves, at an affordable rate that fits your budget, without the hassles of traditional life insurance. If you are married, you can even apply for life insurance protection for your spouse, as well. Each life insurance policy comes with a 30 day money-back guarantee. If you are not satisfied with your life insurance policy for any reason, you may return it within 30 days of receiving your policy for a full refund of all premiums paid.